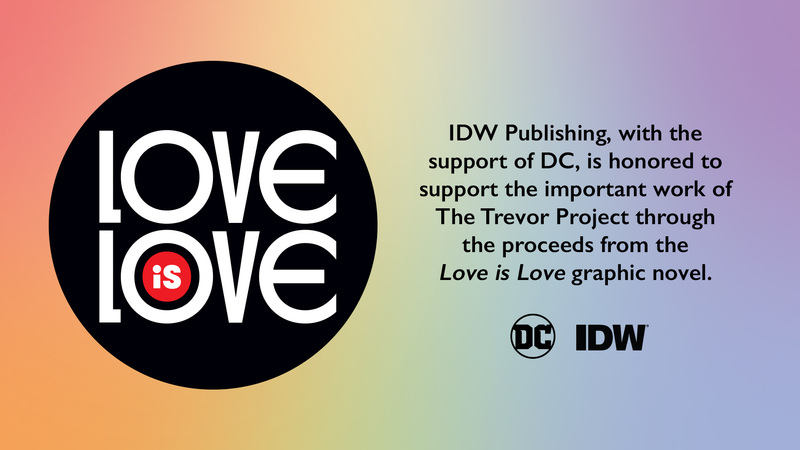 IDW reports that the Love is Love graphic novel project raised over $51,000 this year for The Trevor Project, an LGBTQ-focused suicide prevention network. Launched in 2016 following the Pulse nightclub massacre in Orlando, Florida and overseen by writer Marc Andreyko, the anthology includes work from a broad range of writers addressing the tragedy and reflecting on today’s LGBTQ experience. The graphic novel project, produced by IDW with support from DC, was produced entirely as a charity effort, with all work donated by the creators, and all proceeds are directly donated to a charity in support of those affected by the 2016 tragedy. This year’s recipient was The Trevor Project, a crisis intervention organization for vulnerable LGBTQ youth. See the full details about the project in the press release below and see the Love is Love listing at IDW for more information about the book itself. And as always, you can talk about the news with us on the Allspark Forums, our Discord channel, or our Facebook group. 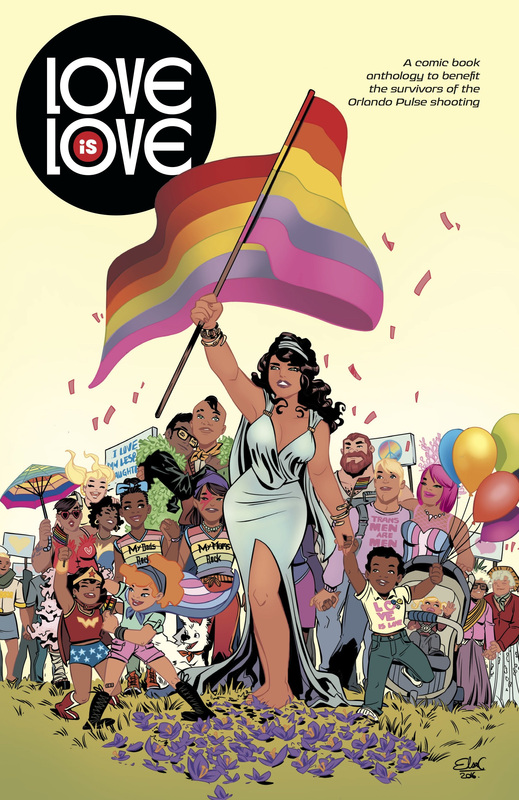 Curated by writer Marc Andreyko, the Love Is Love anthology was published in December 2016, and by March 2017, it raised $165,000 for the OneOrlando Fund supporting Pulse victims and families. All proceeds are donated to LGBTQ charities, with a new recipient designated each year. The anthology made the 2018 donation at last night’s TrevorLIVE LAgala, which celebrates the organization’s work to save young LGBTQ lives. The Trevor Project is the world’s largest organization providing crisis intervention and suicide prevention services to lesbian, gay, bisexual, transgender and questioning (LGBTQ) young people. The Trevor Project offers a suite of crisis intervention and suicide prevention programs, including TrevorLifeline, TrevorText, and TrevorChat as well as a peer-to-peer social network support for LGBTQ young people under the age of 25, TrevorSpace. Trevor also offers an education program with resources for youth-serving adults and organizations, a legislative advocacy department fighting for pro-LGBTQ legislation and against anti-LGBTQ rhetoric/policy positions, and conducts research to discover the most effective means to help young LGBTQ people in crisis and end suicide. If you or someone you know is feeling hopeless or suicidal, our TrevorLifeline crisis counselors are available 24/7/365 at 866.488.7386. www.TheTrevorProject.orgTrevorLIVE is the signature annual fundraising event of The Trevor Project. This annual event brings together top entertainers and corporate leaders to support the organization’s life-saving initiatives. Learn more about TrevorLIVE at http://la.trevorlive.org.